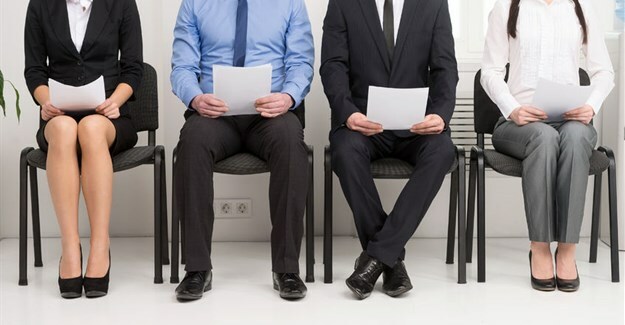 Recruitment vs training - Do you really need to hire more people? It's always obvious when you need to hire someone isn't it? Actually I don't think that it is. Hiring someone is an easy answer but it may not be the right one. The difference comes down to whether your current people are working efficiently or inefficiently. If they are working efficiently and things are still not getting done then you obviously need to hire more people. Having said that, getting to the bottom of that is easier said than done. It's going to take a little time. The key to it is really understanding in detail what your team do and where the bottle necks occur. Let's be clear, I'm not against expansion but I do believe that recruitment should usually be the last resort. This is because the process of trying to understand whether more people are really needed is good for team morale and communication and actually positions you perfectly to then make a very good new hire, if that is what you decide to do. Remember hiring is expensive, time consuming and risky, so if you decide to go ahead with it make sure that you are well-prepared. Sitting with your team to discuss in detail what they do and how you could help them to be more efficient has huge benefits. They will feel listened to and valued. You will learn more about how they are feeling and what their frustrations are. If a training course is organised as a result then that will also make them feel invested in and valued. All of these things can hugely improve team morale and productivity. However, if having been through this process you decide that you really do need someone new then you've pretty much written the job specification. You now understand in great detail exactly what role the new person will need to fill and why. You understand who they will need to report to and how they will impact the rest of the team. Firstly there are a number of situations in which it's obvious that you need to recruit new people. 1) If you open a new office, it's clear that you need new staff to operate from that office. Your plan for a new office should include a head count plan and so hopefully you won't find yourself resource constrained. 2) When you have a substantial project or new business stream which requires a specialist skill set. In this eventuality, you will obviously need to recruit a specialist in this new field. It is very unlikely that you will be able to upskill one of your current staff sufficiently. This is particularly true if the new project is substantial and relatively near term. In this case you may find you have more of an issue with resource. Especially if you will not get paid for this new project or business stream for some time after bringing on the new person. If your budget simply makes hiring someone impossible because you have other bills to pay for example, utility bills or mortgage repayments, then you will probably need to look at a consultant. They are more expensive on a per day basis but will give you the flexibility that you need. In the event that after speaking to your staff you can see that your team or business is not currently operating efficiently then training may be needed rather than more people. The key is being clear about your plan. For instance, if your corporate website doesn't get much traffic, let alone targeted traffic that is likely to become a sales lead, it may be because you don't have a blog or your SEO is poor. If this is the case then you need to create a blog on your company site and hire an expert to regularly create and promote content for you. This is clearly a substantial ongoing stream of work that someone will need to undertake. Unless you have people who are not 100% utilised you will need to find someone new. On the other hand, if you see that your management team has problems using software to create presentations, then training them to do so will free up a lot of their time. Organising some Microsoft Powerpoint training courses would reduce the amount of time that they spend producing presentations substantially. I believe that recruitment should be a last resort. This is not because I don't believe that companies should expand. Taking time to understand your team's frustrations and bottle necks will help you analyse if you really need to go to the time and expense of hiring someone. It will also mean that you really understand the gap that needs filling if you decide to recruit someone. Often a good training course will free up substantial amounts of your team's time and also improve morale. However if that isn't the case then you will be perfectly prepared to make sure that your recruitment process is as efficient and effective as it can be. Don't forget it might be that you need both recruitment and training, they're not mutually exclusive.